Our cuddly soft message heart pillows are a great gift for someone you love! Perfect all on their own, or added to any teddy bear purchase. *Note: this Pillow Pair can be added to any teddy bear order, but does not come with a teddy bear included. If you order a teddy bear, it may ship in a separate box. The Loving doesn't stop there! Each Giant Teddy Heart Pillow is made of high quality plush fabric and passes all U.S. safety standards. 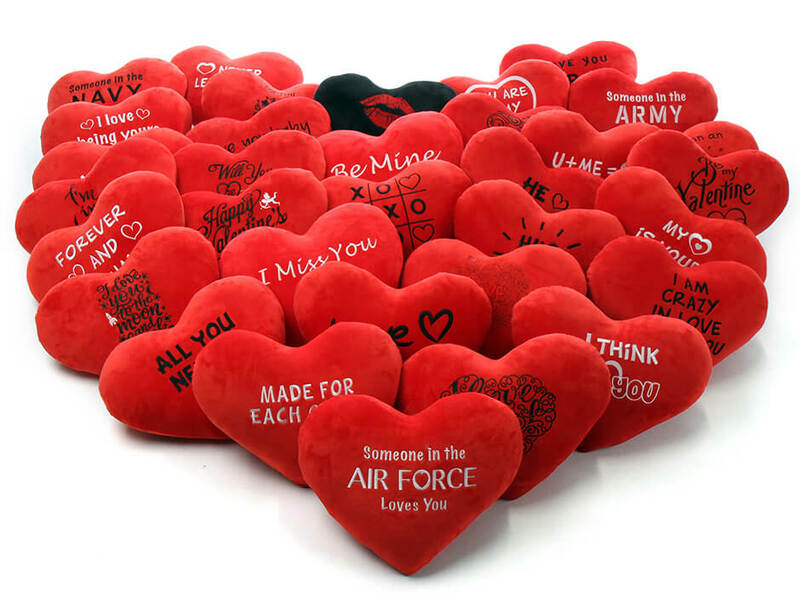 Every Giant Teddy Heart Pillow is guaranteed for 6 months, from the purchase date, against defects in material and workmanship.